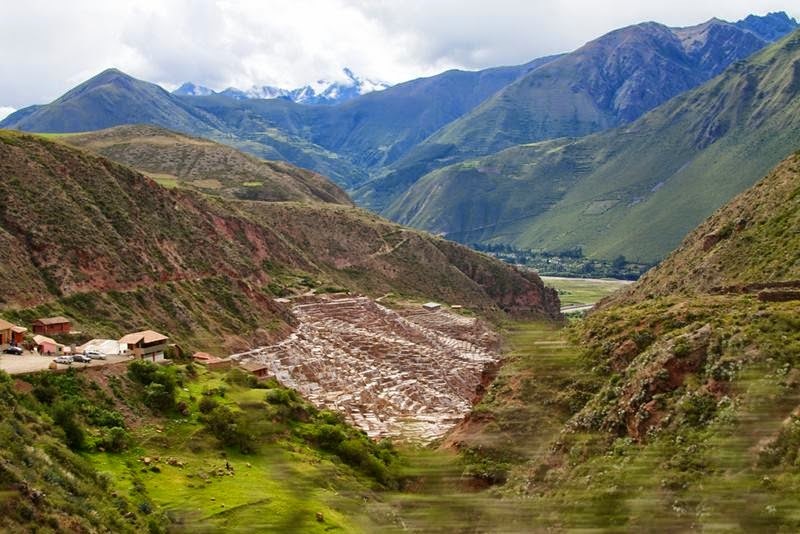 Peru city Marash, The Sacred Valley of the Incan Ruins, located near Cuzco Region of Peru, but nothing special stands out -The usual province. But tourists come here. 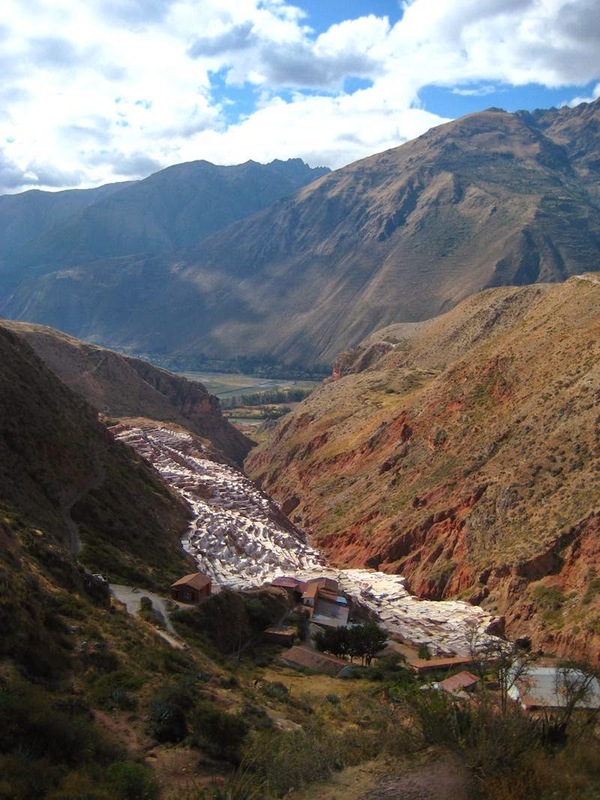 And not to look at the architecture and life of the local population. 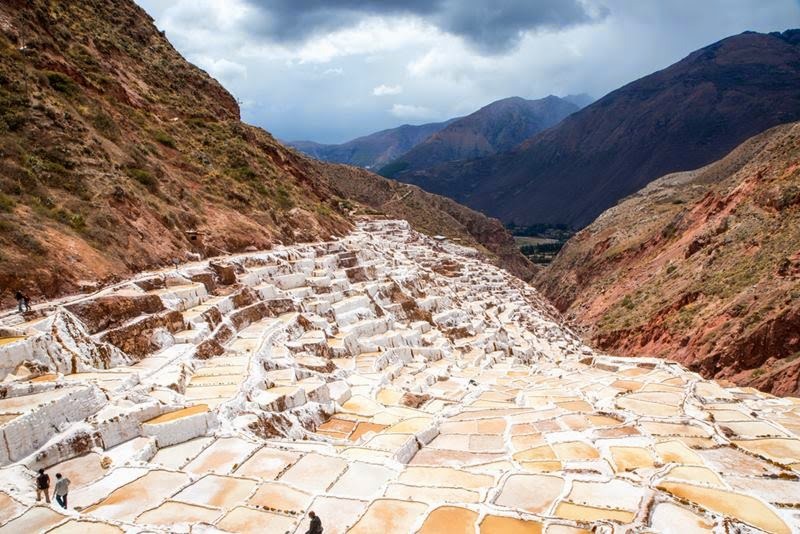 Travelers interested in the salt terraces of Marash, Terraces used for salt production during the time of the Inca Empire, of the XII century, mountain river fills artificially created water tanks. 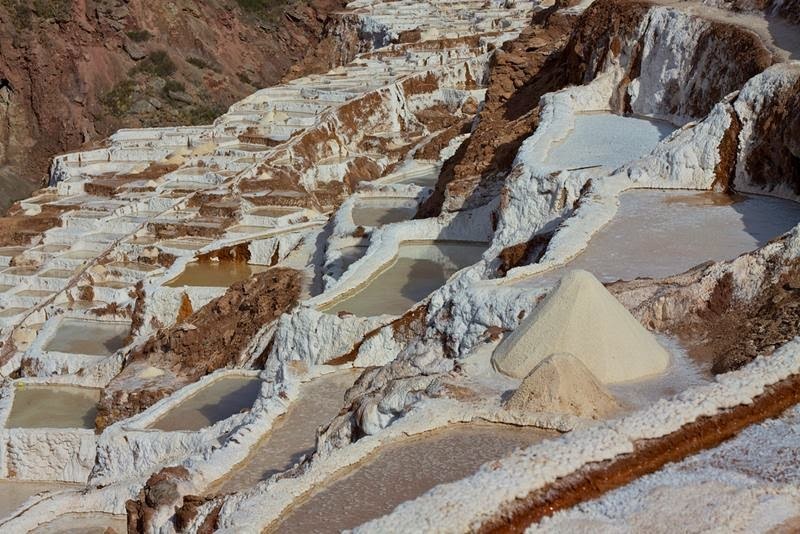 Thousands of tiny terraces of white, pink and coffee brown evaporate salty mineral water to produce fine salt. 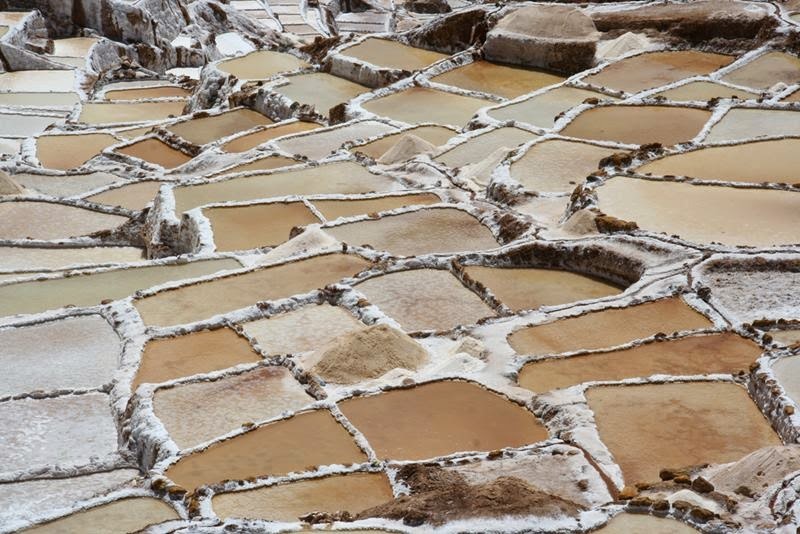 Now there are more than five thousand snow-white squares and rectangles, composed of rock salt, which is formed by evaporation of water from underground salt deposits . 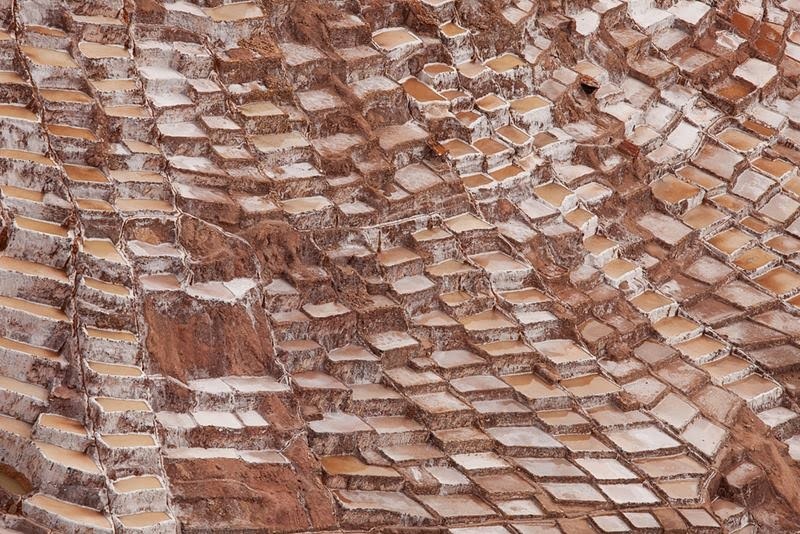 Extraction process is quite simple. 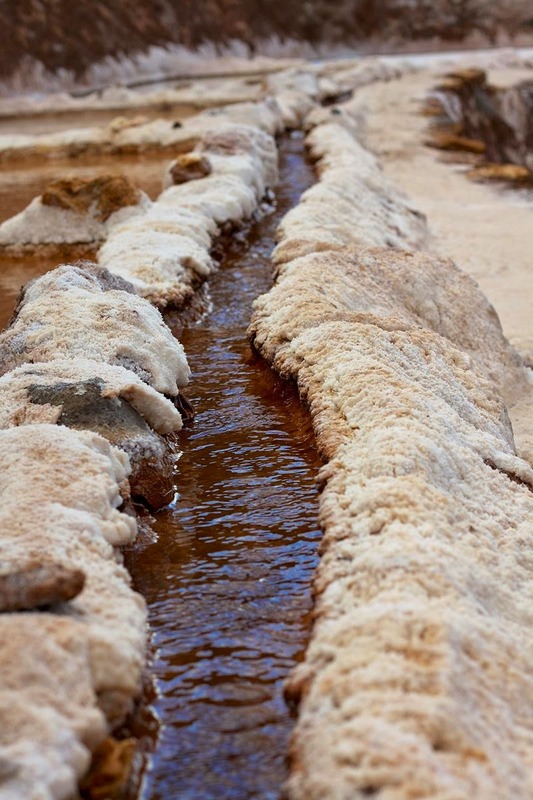 Mineral water comes out of the ground in the carved stone vessels, after which the sun's rays evaporated moisture. 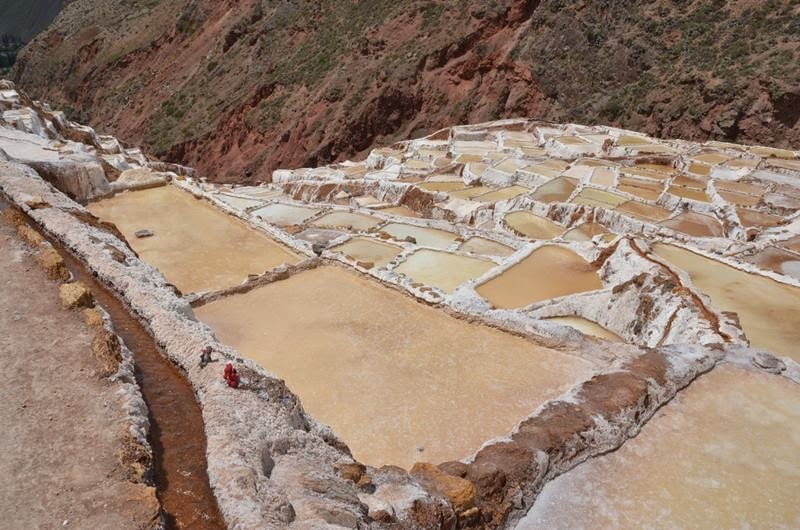 At the bottom of the stone container, reaching an area of 5 square meters, leaving only the salt crystals. 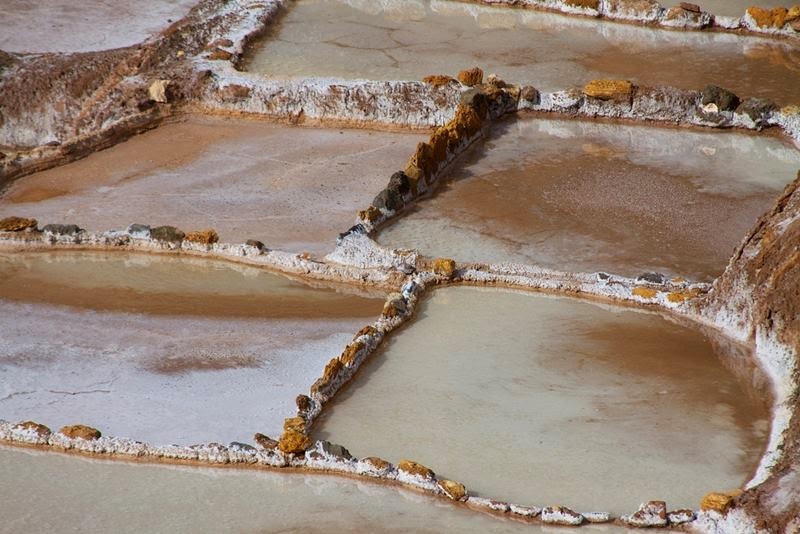 Seasons has made become an iconic place and produce tons of salt by owners and the terraces are in private hands, but the owners of the salt ponds must be members of the community, and families that are new to the community wishing to propitiate a salt pond get the one farthest from the community. 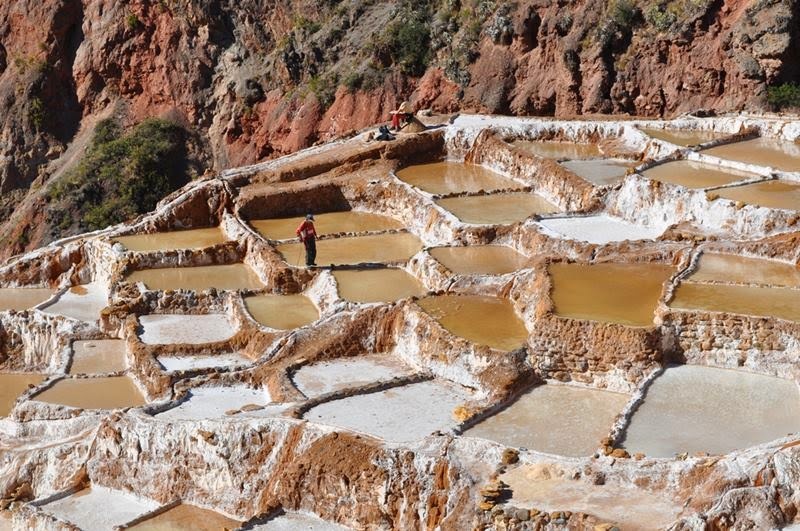 The size of the salt pond assigned to a family depends on the family's size.